The recent controversy in south/east Belfast has once again highlighted the overtly political agenda driving the ‘progressive’ pan-nationalist coalition’s attacks on Unionism in that area. South Belfast is one of the most hotly contested Westminster seats and on this occasion it was won by a Unionist, Emma Little-Pengelly. Sinn Fein, the SDLP and Alliance see themselves as having a chance in south Belfast, so they have bandied together like playground bullies to target the sitting MP. Since the election there has been a vicious campaign waged in south Belfast. On occasions these have been full frontal attempts to heighten tensions by politicising almost every issue conceivable, and on others the pan-nationalist coalition have used surrogates- such as ‘South Belfast Residents Against Flags’ which is a creation of Sinn Fein and run by a Sinn Fein activist- to agitate and stir up sectarian tension. 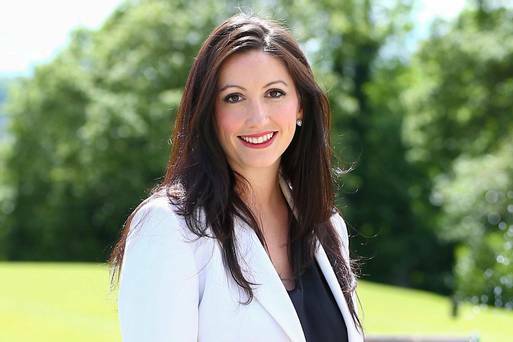 The aim of the vicious bullying campaign by the ‘progressive’ Sinn Fein, SDLP and Alliance pan-nationalist coalition is not so much to target Emma Little-Pengelly as a person (that’s just collateral damage) but rather to wage a campaign of hate against Unionism in general. Sinn Fein are the architects of this strategy and naturally the Alliance party and SDLP are only too willing to join in the campaign of hate against Unionism, and by extension the Unionist MP in the area. Alliance especially has become known as the ‘nasty party’, with vicious social media trolling campaigns used to target any political opponents. It has, following the example of their senior partners in the pan-nationalist coalition, developed into a cult. Unionism in south/east Belfast, and across Northern Ireland generally, is being targeted by the ‘progressive’ pan-nationalist coalition. That is why it is essential that Unionism stands together. There is no doubt that many people have internal differences within Unionism, but now is the time to draw a line in the sand and move together with Unionism standing together in opposition to the campaign of hate driven by the ‘progressive’ pan-nationalist coalition against all things Unionist. 52 Responses to "OPINION: Pan-nationalist hate campaign being waged against Unionism in South Belfast"
I would like to thank you for the efforts you’ve put in writing this site. I am hoping the same high-grade site post from you in the upcoming also. In fact your creative writing skills has inspired me to get my own website now. Really the blogging is spreading its wings rapidly. Your write up is a good example of it. I would like to point out my gratitude for your kindness supporting those people that need help on this particular subject matter. Your very own dedication to passing the solution along ended up being wonderfully important and has specifically permitted associates much like me to realize their endeavors. Your personal useful key points denotes so much to me and a whole lot more to my colleagues. Regards; from everyone of us. It is the best time to make some plans for the future and it is time to be happy. I’ve read this post and if I could I wish to suggest you some interesting things or advice. Perhaps you could write next articles referring to this article. I desire to read even more things about it! Hello there, I found your site by the use of Google whilst searching for a similar subject, your web site got here up, it seems great. I’ve bookmarked it in my google bookmarks. Excellent web site. Lots of useful info here. I am sending it to several friends ans also sharing in delicious. And of course, thanks for your effort! After research a few of the weblog posts on your web site now, and I actually like your means of blogging. I bookmarked it to my bookmark web site listing and can be checking again soon. Pls try my web site as properly and let me know what you think. Helpful information. Lucky me I discovered your website by accident, and I am stunned why this coincidence did not happened in advance! I bookmarked it. That is the fitting weblog for anyone who needs to seek out out about this topic. You understand so much its almost hard to argue with you (not that I really would need…HaHa). You positively put a new spin on a subject thats been written about for years. Nice stuff, simply great! Somebody necessarily help to make critically posts I’d state. This is the first time I frequented your website page and to this point? I amazed with the research you made to make this actual submit amazing. Wonderful activity! What i do not understood is in reality how you are now not really a lot more well-preferred than you might be right now. You are so intelligent. You understand therefore significantly in relation to this subject, produced me individually imagine it from numerous numerous angles. Its like women and men are not involved except it’s something to do with Girl gaga! Your personal stuffs great. All the time care for it up! Awesome website you have here but I was wondering if you knew of any user discussion forums that cover the same topics talked about here? I’d really love to be a part of online community where I can get feed-back from other knowledgeable people that share the same interest. If you have any suggestions, please let me know. Thanks a lot! I simply wanted to compose a comment to express gratitude to you for some of the amazing items you are showing on this site. My prolonged internet look up has finally been compensated with excellent insight to exchange with my guests. I would declare that most of us site visitors are unequivocally blessed to be in a fine website with so many special professionals with insightful tips. I feel really fortunate to have seen your entire web pages and look forward to some more thrilling minutes reading here. Thanks once more for everything. Great site. Plenty of useful info here. I am sending it to some friends ans also sharing in delicious. And certainly, thanks for your sweat! Hmm it appears like your blog ate my first comment (it was super long) so I guess I’ll just sum it up what I had written and say, I’m thoroughly enjoying your blog. I as well am an aspiring blog writer but I’m still new to the whole thing. Do you have any points for inexperienced blog writers? I’d definitely appreciate it. I’m impressed, I must say. Actually not often do I encounter a weblog that’s each educative and entertaining, and let me let you know, you could have hit the nail on the head. Your idea is outstanding; the problem is one thing that not sufficient people are speaking intelligently about. I am very joyful that I stumbled across this in my seek for something relating to this. hey there and thank you for your info – I’ve certainly picked up something new from right here. I did however expertise some technical issues using this web site, since I experienced to reload the site lots of times previous to I could get it to load properly. I had been wondering if your web host is OK? Not that I’m complaining, but sluggish loading instances times will very frequently affect your placement in google and could damage your quality score if advertising and marketing with Adwords. Well I’m adding this RSS to my email and can look out for much more of your respective intriguing content. Make sure you update this again soon..